As a kid scrambled eggs were one of the first “real meals” I learned to make at home. It was one of those things I saw my mom effortlessly cook so many times that it just felt safe and easy and totally do-able. Plus cracking all those eggs just looked like too good of a time to be letting mom have all on her own. I wanted in!!! 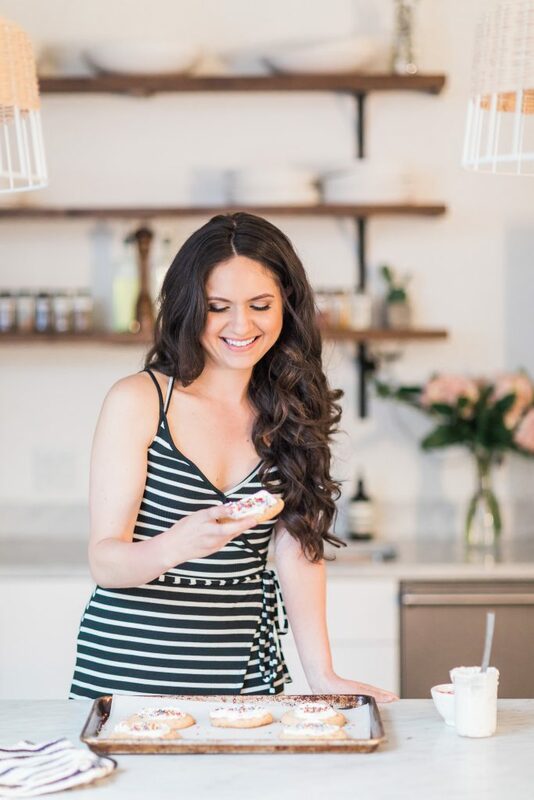 These days I definitely know my way around a kitchen, but guess what?! I still love me some scrambled eggs. Especially when they involve crispy kale and SMOKED gouda. Ahhh. Smoked gouda = the best. I love it! These simple tacos only call for 5 ingredients (not including water, salt and pepper; they’re staples, right? ), and take in all about 15 minutes from fridge to plate. 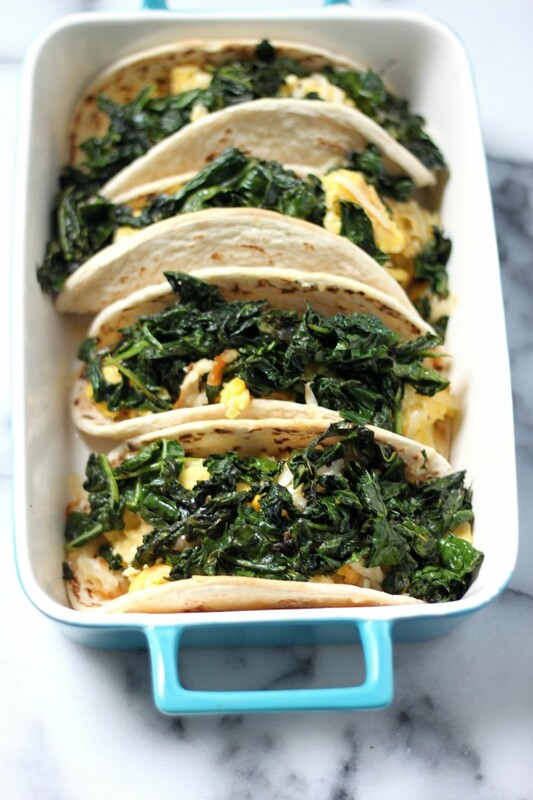 That means technically, you could be chowing down on some warm, cheesy, kale and egg stuffed tacos in like… no time. What you waiting for?! Preheat oven to 350 degrees (F). Line a large baking sheet with pitas and set aside. 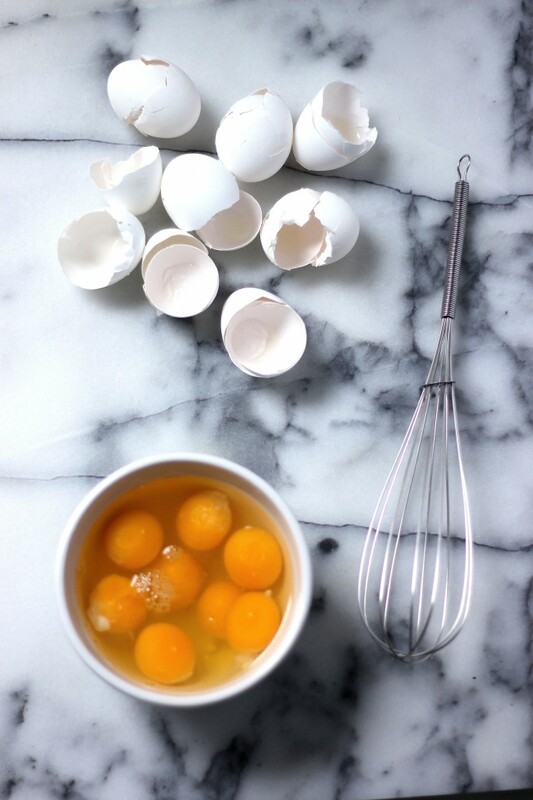 Crack eggs into a large mixing bowl, add water, salt and pepper and beat well; set aside. Add 2 tablespoons of oil to a large skillet over medium heat. Add kale, stirring well to coat, then cook, stirring occasionally, for about 10 minutes. Once the kale has reduced by half (you will be amazed at how much it shrinks down! ), reduce heat to low and let it cook – stirring occasionally – for another 4 minutes while you make your eggs. *At this point you can place your pitas in the oven to warm up! Add remaining oil to a medium-sized non-stick skillet over medium-low heat. 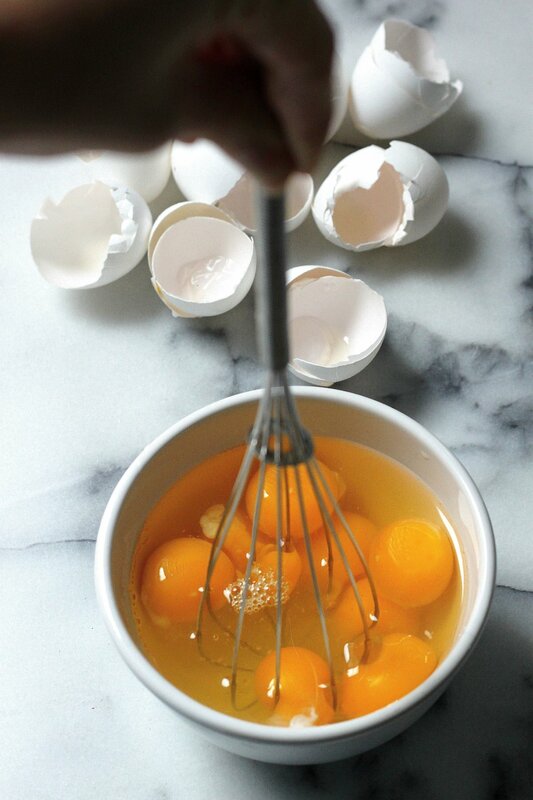 While the oil is heating up, re-whisk your eggs; stirring like crazy! You really want them beat well. 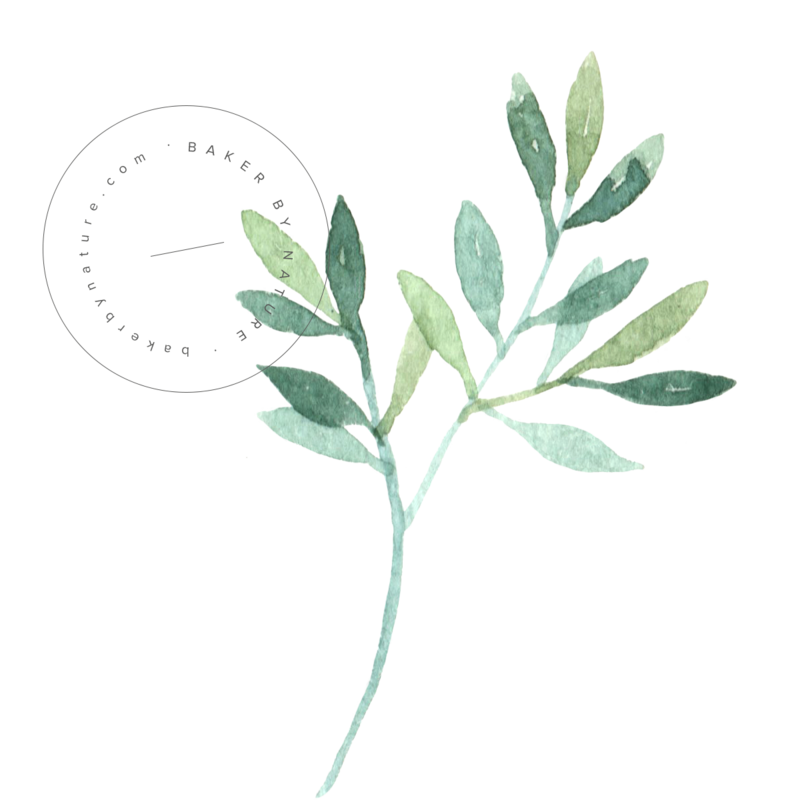 Once the oil is sizzling, add eggs and cook – not touching – for one minute. With a spatula, gently push one edge of the egg into the center of the pan, while tilting the pan gently to allow the liquid egg parts to flow in underneath. Repeat with the other edges, until there’s no liquid left. Remove pan from heat and continue gently stirring and turning the egg until all the uncooked parts become firm; try not to break up the egg. Gently fold in cheese. Season kale with salt and pepper, stir once, then remove from heat. 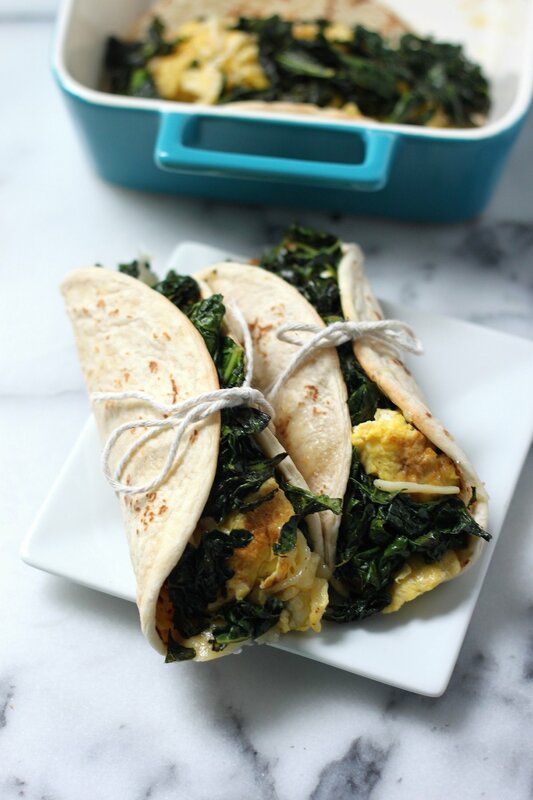 Remove pitas from the oven, and fill each shell with a scoop of eggs, then top with crispy kale. *This is a verrrry basic recipe, so feel free to play around with it. You can definitely use butter instead of oil, add more mix-ins to the eggs, or really do whatever you want! 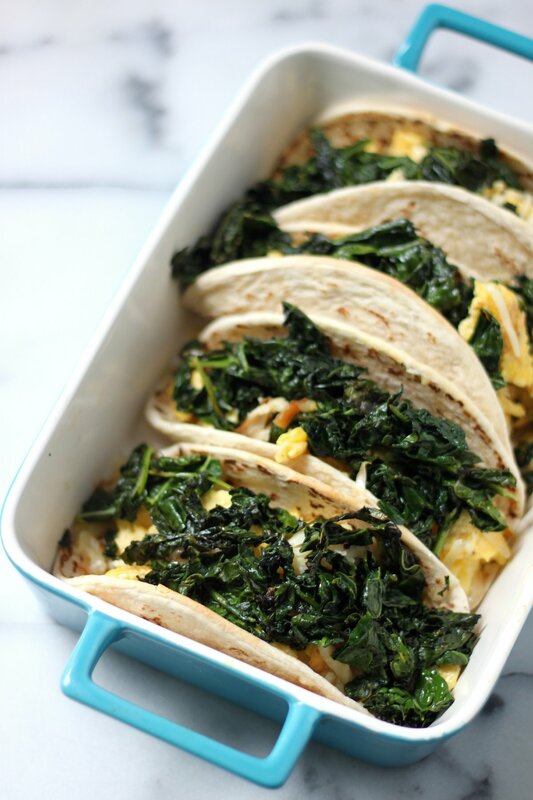 Scrambled eggs are way more fun in a taco! Best breakfast tacos ever! I think scrambled eggs were the first thing I learned how to cook too! And toast. What a chef. But I’m pretty sure I way overcooked the scrambled eggs until they were almost rubbery. Glad to say I can make “fluffy” eggs now. 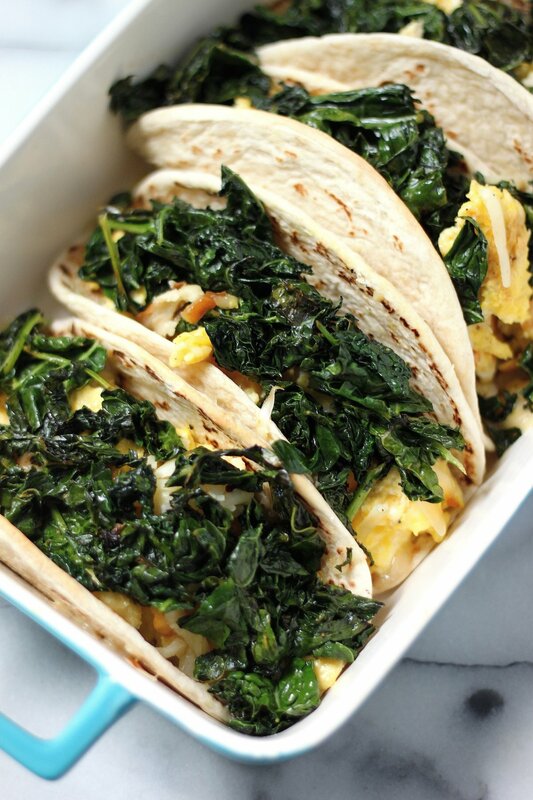 I love the idea of breakfast tacos. And smoked gouda. Mmmm. Dang girl, you are just killin’ it lately! These look amazing! Since I have not had breakfast yet, I know what I am having! Oatmeal be gone….tacos are my new favorite. I would eat those all day long! 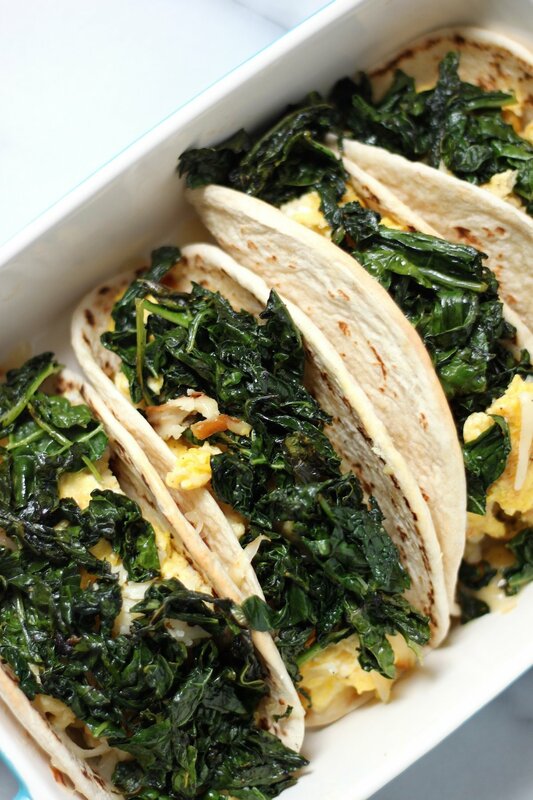 Eggs and dark greens are just one of those classic combinations, aren’t they? These tacos sound so easy and so good! I just tried smoked Gruyere and it was ah-may-zing…I am sure Gouda would be too! What a creative way to eat a taco..love it! These tacos are super fancy! Love them! Yay!! 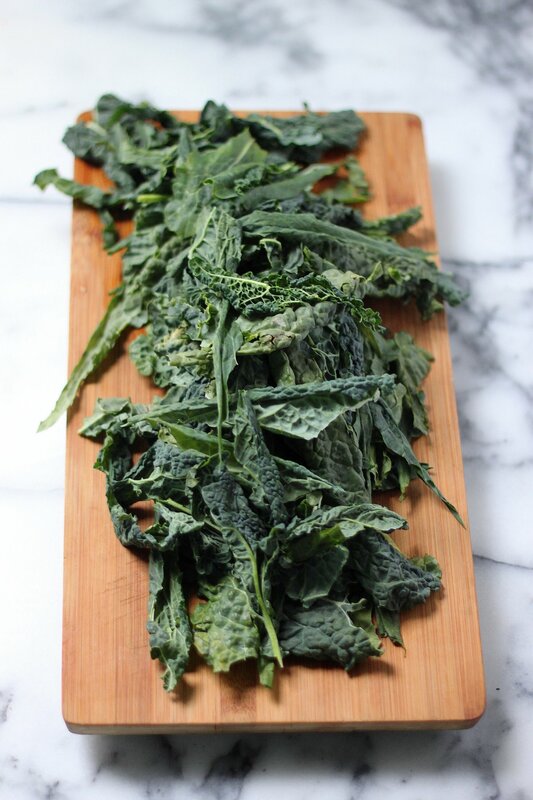 I love crispy kale! These tacos look amazing! What a yummy looking breakfast! Now I’ve got a serious scrambled egg craving going on! Good thing I have kale and tortillas in the fridge otherwise there would be an early morning store run. Delicious! I made these tonight and followed the recipe with the exception of cooking the kale. After wilting it down in the pan, I transferred it to a baking sheet and made it crisp. We love hot sauce, so everyone sprinkled it with Frank’s. Quick and easy weeknight meal.